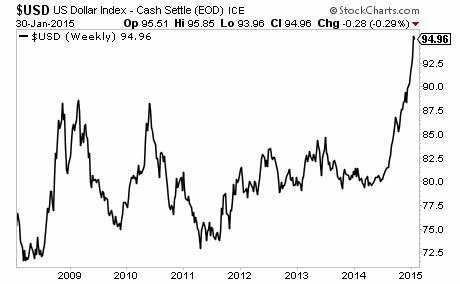 Could the US Dollar Crash Stocks? This was usually sold as a "temporary" issue. But as politicians have shown us time and again, overspending is never a temporary issue. This is compounded by the fact that the political process largely consists of promising various social spending programs/ entitlements to incentivize voters. In the US today, a whopping 47% of American households receive some kind of Government benefit. This type of social spending is not temporary… this is endemic. 1.Central banks cut interest rates to make these gargantuan debts more serviceable. 2.Central banks want/target inflation because it makes the debts more serviceable and puts off the inevitable debt restructuring. 3.Central banks are terrified of debt deflation (Fed Chair Janet Yellen herself admitted that oil's recent deflation was economically positive) because it would burst the bond bubble and bankrupt sovereign nations. The first real sign of trouble has already emerged. That sign pertains to the US Dollar. 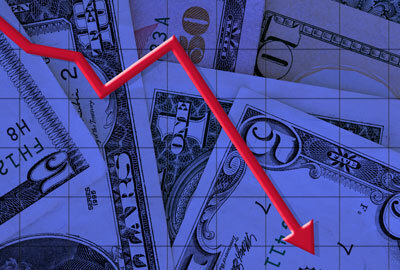 Globally, the world is awash in borrowed money… most of it in US Dollars. The US Dollar carry trade is north of $9 trillion… literally than the economies of Germany and Japan COMBINED. This first wave imploded the price of Oil, numerous other commodities, and several emerging markets equities, most notably in Russia and Brazil. However, the US markets are not immune to the move. Indeed, as ZH noted earlier this week, 87% of companies have guided below consensus expectations for next quarter. 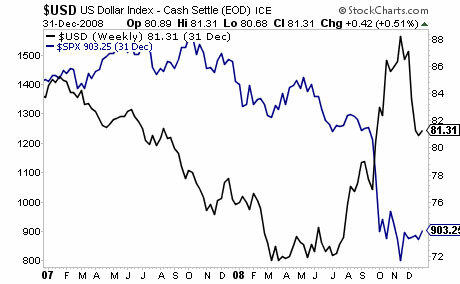 The stronger US Dollar is hurting profits… which are the single biggest driver of stock prices. What happened the last time that stocks were strongly disconnected from reality… and the US Dollar began to rally hard? 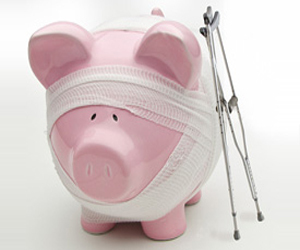 If you've yet to take action to prepare for the second round of the financial crisis, we offer a FREE investment report Financial Crisis "Round Two" Survival Guide that outlines easy, simple to follow strategies you can use to not only protect your portfolio from a market downturn, but actually produce profits.